Cerebral angiograms obtained with a left vertebral artery injection. A saccular aneurysm (arrow) is present at the proximal end of a duplication of the right posterior cerebral artery that bridges the P1-P2 segment and the right P2-P3 segment. The duplicated segment of the right posterior cerebral artery has a stepwise configuration (arrowhead in B). 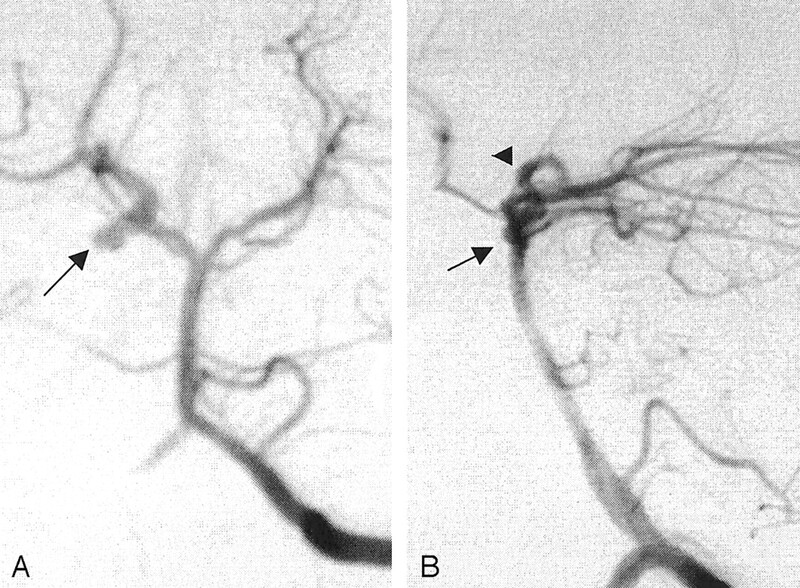 Superselective angiograms of a duplicated right posterior cerebral artery. 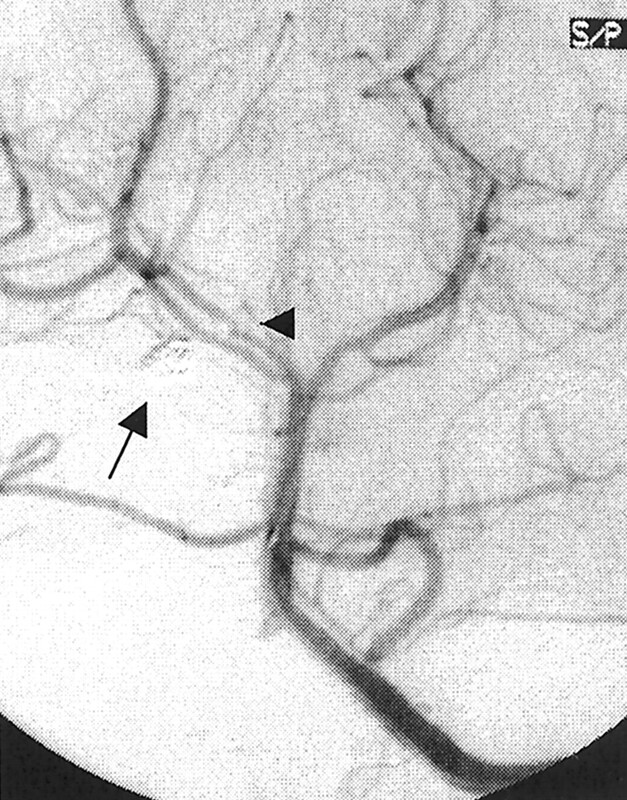 A laterally and inferiorly pointing saccular aneurysm (arrow) has a broad connection (arrowhead in B) to the parent artery. The proximal portion of the duplicated segment in the quadrigeminal cistern has a stepwise configuration. 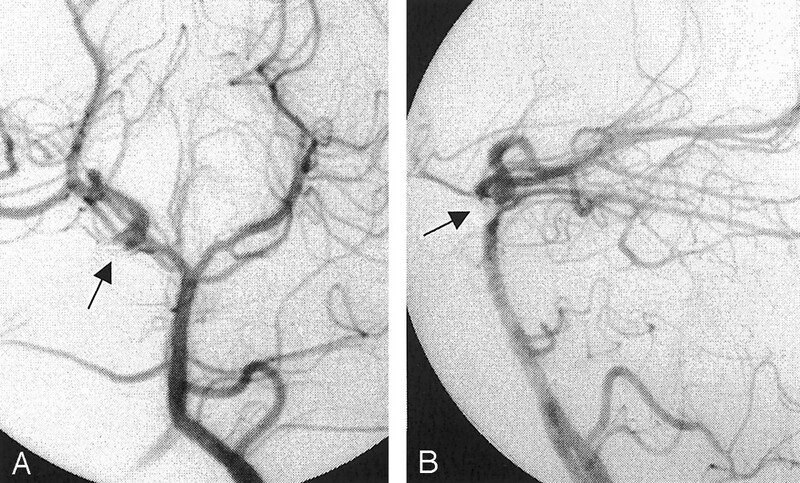 Cerebral angiogram obtained with a left vertebral artery injection. The aneurysm is totally obliterated (arrow). The right posterior cerebral artery duplication is patent. 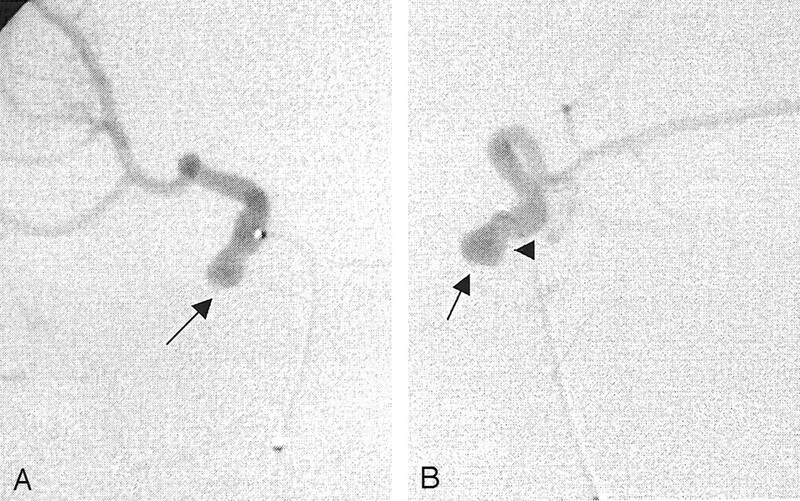 Anteroposterior cerebral angiogram obtained with a left vertebral artery injection during aneurysm treatment. The aneurysm is obliterated (arrow). The duplicated segment of the right posterior communicating artery is not seen because the microcatheter is across the fenestration (arrowhead).